Port Louis (Mauritius) – March 25, 2017 (travelindex.com) – Xavier-Luc Duval, the former President of the Indian Ocean Vanilla Islands has written to Tabeb Rifai, the Secretary General of the United Nations World Tourism Organisation to endorse Alain St.Ange, the Seychelles Candidate for the post of secretary General of the UNWTO. Mr Duval was then the Deputy Prime Minister of Mauritius with responsibility also for Tourism. “Your Excellency, I have worked closely with Alain St. Ange, as Deputy Prime Minister of Mauritius, I was also holding the portfolio for tourism in the Government of Mauritius. Mr St. Ange then the Minister responsible for Tourism for the Seychelles was by my side when I took over the Presidency of our lndian Ocean Vanilla Islands. He was a strong advocate for regional partnership and was always at the forefront to spearhead action plans that would benefit not only the islands but also twin centre possibilities with mainland Africa. Today as the Leader of the Opposition of Mauritius, I have been following with interest the bid launched by the Seychelles with Alain St. Ange as their candidate for Secretary General of the UNWTO. This is why I write to endorse Mr Alain St. Ange for SG of the UNWTO. He is able and I know that he will deliver for global tourism as he has done for regional tourism and for his own island’s tourism industry. He works with passion and is known to be a hard worker. Alain St. Ange is a friendly person and accessible to all. He is a good public speaker and always speaks with ease and conviction when addressing tourism issues. From the Seychelles, Alain St.Ange has welcomed this latest endorsement from across the Indian Ocean. “Honourable Xavier Duval was a great colleague who was passionate for tourism and for the Indian Ocean Region. His personal endorsement means a lot to me” said Mr St.Ange. 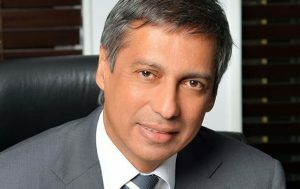 The Seychelles Candidate has already received Letters of Endorsement from President Danny Faure of the Seychelles, from Sir James Mancham, Seychelles founding President who wrote an open letter about his support for the Seychelles St.Ange bid for the United Nations just a week before he passed away, the Indian Ocean Vanilla Islands Organisation (Comoros, Mayotte, Madagascar, Mauritius, Reunion and Seychelles}, the Africa Ports Association of Eastern and Southern Africa (PMAESA), Tanzania Society of Travel Agents (TASOTA), the Seychelles Hospitality and Tourism Association (SHTA), Fred W. Finn, the World’s Most Travelled Person Guinness World Records, the Seychelles Hindu Kovil Sangam Association, India’s important N.R.I. Welfare Society, the Creole Travel Services of Seychelles and the Association of Tourism Professionals of Mauritius (ATP), Eden Island Seychelles, Bea Broda the known Producer/Writer/Host/Speaker from the Americas and Theresa St.John, the reputed Travel Writer who said “It’s not often that I have the chance to interact with someone who speaks so passionately about travel, tourism, and the people behind the ‘business of it’.